Save the date to join us for the Reverse Logistics Association’s Circular Economy Conference in Amsterdam October 15-17, 2018. 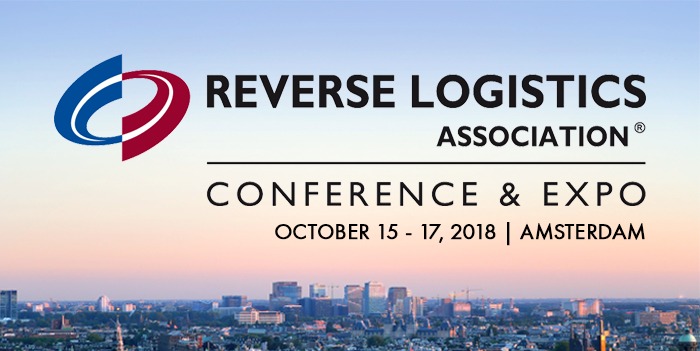 Starting on the evening of the 15th with a reception, the two-day event begins on the 16th and will contain reverse logistics content, networking opportunities, as well as a 3PSP exhibit hall. This is a great opportunity for OEMs and companies to identify future service partners among the many exhibitors. 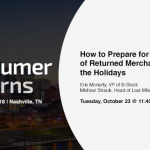 B-Stock’s own Ben Whitaker will be participating on a panel on Wednesday, October 17 at 10:30am on the topic of Growing Ecommerce Impact in Europe. Ben will also be moderating a panel later that afternoon on Examining the Secondary Market in Europe. If you’re planning to attend the show, feel free to stop by our table to meet Ben Whitaker, who will be happy to answer any questions you might have about buying and selling secondary market merchandise at scale. B-Stock operates the world’s largest network of B2B marketplaces for returned, overstock, and liquidation merchandise. For a look at our marketplaces, please visit our marketplace page.